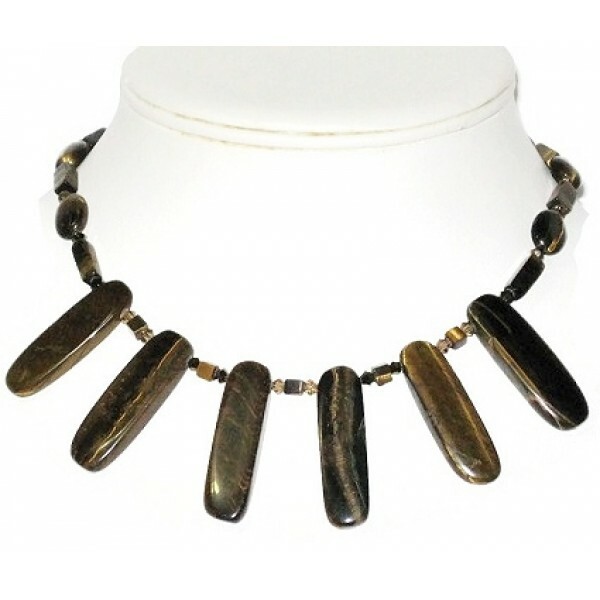 This necklace is comprised of assorted tiger eye beads and crystals. It is finished with a gold-plated clasp and measures approximately 16 1/2 inches. These earrings contain mother-of-pearl beads, freshwater pearls, Swarovski crystals and tiger eye ..